The American Dairy Goat Association Goat Milk Bath & Body Competition was held at ADGA Annual Convention in Minneapolis, Minnesota on Tuesday, October 16 and Wednesday, October 17, 2018. The competition was judged by Teresa Gregory of Hernando, Mississipi and Shanna Mc Cann of Dover, Minnesota. 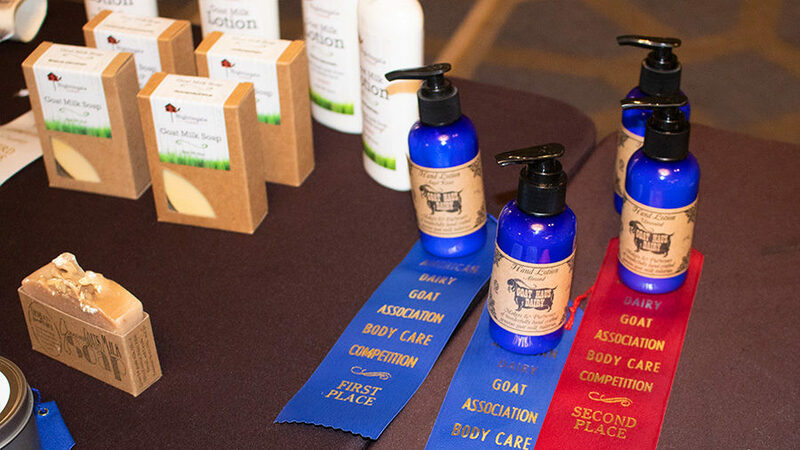 See Goat Milk Bath & Body Competition to learn more about the competition rules and awards.